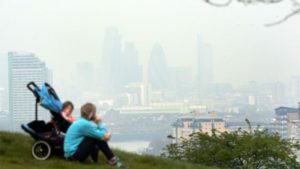 Beacon Blog - Everything to do with beacons..
Air pollution may be linked to an increased risk of developing dementia, research in London has suggested. A study shows a link between the condition and exposure to nitrogen dioxide (NO2) and toxic air particles. Patients living within the M25 in areas with the highest NO2 levels were 40% more likely to develop dementia than those in areas with lowest levels, researchers said. Alzheimer’s Research UK said the results should be treated with caution. The study, published in journal BMJ Open, used anonymous patient health records from the Clinical Practice Research Datalink to collect data from 75 general practices within the M25. 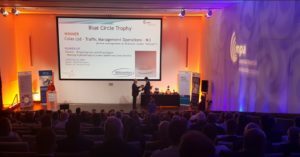 The award recognised the innovative approach Colas took to using new sensor technology in the pro-active management of diversion routes. “Airscan” developed by mobile technology specialist Iknaia uses cost-effective sensor technology and can be quickly and easily deployed on diversion routes. 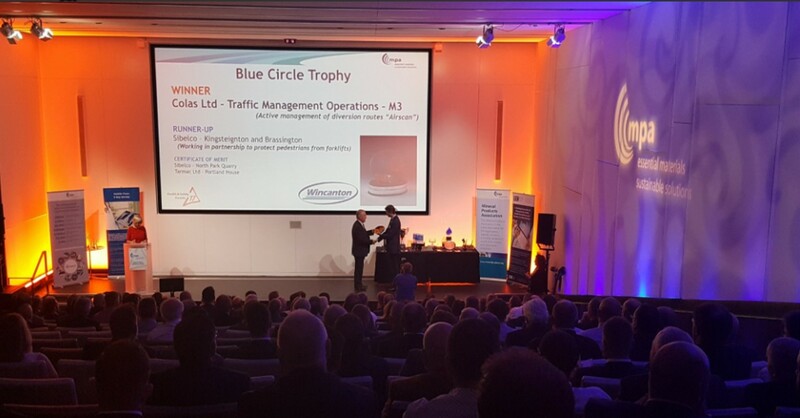 Airscan analyses anonymous data from Bluetooth and WiFi devices in passing vehicles then calculates journey time and provides real-time accurate information to VMS, whilst informing works supervisors of any traffic congestion. Consulting group BCG estimated that the spending for IoT will grow to $267 billion by 2020. This is a clear indicator that organizations in different markets are likely to increase their adoption of the technology and further their investments in these connected devices. In healthcare, IoT has enabled clinical staff to have better visibility over patient data by bringing them more patient-generated data for monitoring and analysis. Since these devices rely heavily on wireless communication to exchange data with other systems, hospital IT departments will see an uptick in IoT interest. Many wearable devices in healthcare today rely on wireless communication to transfer the data to a host system or other device. This method of communication makes it convenient for patients and hospitals by eliminating the need for loose wires and costly infrastructure costs. Connectivity requires either Wi-Fi or Bluetooth, and connecting smartphones is one of the preferred uses for Bluetooth. Based on research conducted by Accenture Consulting and published earlier this year, 73% of healthcare executives think the IoT will be “disruptive” within three years. In keeping with a broader theme impacting enterprise IoT adoption, the research further finds that only 49% of healthcare executives say “their leaders completely understand what” the IoT means for the industry. Despite an apparent hesitancy, digital research firm eMarketer projects an $163 billion value for IoT-related healthcare by 2020, representing a compound annual growth rate of more than 38% from a 2015 baseline. streamline patient care and medical research. Despite the challenges of installing sensor networks into old buildings and integrating with existing technology, technnologies such as Bluetooth Low Energy, WiFi and LoRa are evolving to play a huge part in Connected Health. The Next Version of the Bluetooth® Core Specification has been adopted! 2 years of work with contributions from 47 working group members representing 22 member companies. That’s what it took to create the latest version of the Bluetooth Core Specification—Bluetooth 5, which was officially adopted on 6 December 2016. With up to 4x the range, 2x the speed and 8x the broadcasting message capacity, the enhancements of Bluetooth 5 focus on increasing functionality for the Internet of Things (IoT). The improvements to advertising extensions allow more efficient use of broadcasting channels on the increasingly crowded 2.4 Ghz band, enabling richer connectionless solutions. For mobile phone developers creating the next generation of devices, the update to slot availability masks can detect and prevent interference on neighboring bands to improve coexistence and interoperability in a global environment. On top of all this, building products with Bluetooth 5 will support even better interoperability, as the team has incorporated over 440 performance fixes and enhancements. “Bluetooth is revolutionizing how people experience the IoT. Bluetooth 5 continues to drive this revolution by delivering reliable IoT connections and mobilizing the adoption of beacons, which in turn will decrease connection barriers and enable a seamless IoT experience. This means whole-home and building coverage, as well as new use cases for outdoor, industrial, and commercials applications will be a reality. With the launch of Bluetooth 5, we continue to evolve to meet the needs of IoT developers and consumers while staying true to what Bluetooth is at its core; the global wireless standard, secure, connectivity.” Mark Powell, executive director, Bluetooth SIG. Bluetooth 5 will transform the way people experience the IoT, making it more relevant, beneficial, and effortless. We can’t wait to see what you’ll create for the future of the IoT. 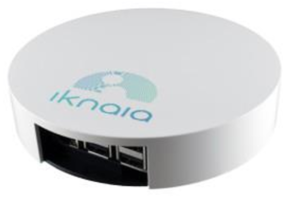 Internet of Things (IoT) specialists Iknaia now offer clients the option to purchase an Iknaia Tracking demonstration starter kit, so they can experience the technology before rolling out on larger installations. Iknaia’s tracking solution is currently being used by clients in the healthcare and construction market sectors. The solution makes use of Bluetooth low energy tags and a range of specially designed detector nodes. The tracking system can be installed and connected to an existing Ethernet or WiFi network, or it can be set up in complete isolation of any existing network infrastructure, using its embedded WiFi mesh detector nodes. Within the Healthcare sector alone, NHS England has been tasked with delivering £30bn of savings per annum by 2020/21 (Five Year Forward View, NHS England). And its estimated that the health service is losing on average £13million annually with items such as life-saving defibrillators, ultrasound scanners, computers, tablets, being stolen or lost. Iknaia’s technology could save NHS England millions once installed. Theft and losses on construction sites costs the industry £880m a year in the UK, Iknaia’ s technology could help keep track of valuable assets and help to increase productivity of the workforce. A £2 million fund to allow councils to capitalise on emerging technologies and deliver better journeys for motorists has been launched and Iknaia is well placed to help deliver solutions! 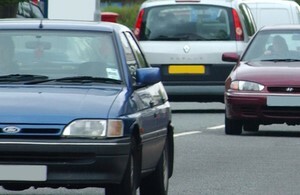 Local authorities have been invited by the Department for Transport to apply for a share of the money to develop projects to greatly enhance journeys. Proposals include using technology that will allow vehicles communicate with each other and roadside sensors to provide the drivers with real-time traffic information. Councils will also look at how warnings about changing weather and traffic conditions can be sent directly to vehicles, so drivers can plan ahead – helping deliver quicker, more efficient and safer journeys. Councils across England will have until the end of September to apply for the funding. I want to deliver better, more enjoyable journeys and this £2 million fund will help councils invest in new technology to enhance the experience of driving. Britain has a proud history of innovation and I am delighted that councils will be able to use this money to develop systems to make journeys easier and safer. Bids are expected to range between £30,000 and £300,000 and councils are expected to provide at least 5% of their project’s cost. They have until 5pm on Friday 30 September 2016 to submit their bids and successful councils will be revealed in November. Schemes would be expected to complete by March 2018. To find out how to apply for grant funding.